SurfersResidence welcomes travellers from all over the world, and is open all year round. The house is a combination of kiteschool and private accommodation including apartments, where you will meet like-minded water sports enthusiasts. This special mixture of surfer and kiter residence with Andalusian-Moorish flair makes everybody feel at home. SurfersResidence has the perfect location as it’s in the heart of the old town but still in a quiet part with views over Morocco. Our rooftop terraces have panoramic views and are perfect for relaxing or barbecue nights and cooking events – there will be something for everybody and also enough space for everything. Come and stay with us all year-round! Also single travellers, you get a discount for short term stays! We’re a bold bunch of riders, sailors, explorers & friends! SurfersResidence Crew is super dedicated to make your stay as pleasant as possible. We are here to help. We simply love sports and Tarifa, and can advise about anything. 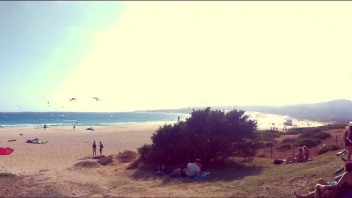 Tarifa gives us everything we need. Great vibe, people, water sports, mountain biking, great night outs, deliciuos food and amazing views from our roof top terraces! 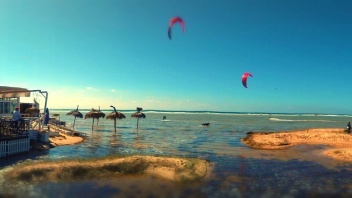 ARE YOU LOOKING FOR SUN, WIND, WAVES, FRIENDS, KITESURFING, GOOD LIFE, RELAXING & MUCH MORE? THEN STAY WITH US! Check out all memories on SR instagram. Great apartment in perfect place. The apartment was very clean, bright and nice furniture. We had everything we needed, including crib and highchair for my child. The host was very helpful. We took kitesurf lessons and it was wonderful. 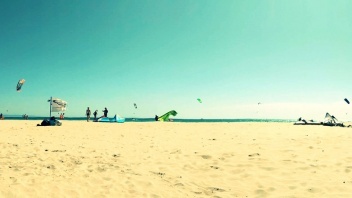 I can fully recommend this apartment, kitesurfing lessons and the beautiful Tarifa. I hope we will be back there soon. Really friendly atmosphere, rooms and bathrooms are very clean, the kitchen is fully equipped and the view from the roof is fantastic. Great for kiters! I stayed 5 days at the surfer's residence and it was great! The location is perfect, the house is very nice and the hosts are super welcoming. I arrived on my own but met a lot of great peopole there. I would recommend to anyone wanting to spend a good time in Tarifa to book at Juliaan's. Thanks a lot for everything! Surfer's residence is a great place to stay. Had a great tie there in August'16. It's very well situated in old town of Tarifa. The hostel is super clean and well maintained inside. Two outdoor terrases make for a good breakfast spot. Copyright © 2018 SurfersResidence. All rights reserved.